There's more to most things than meets the eye—or nose—as code-cracking, wisecracking girl detective Ruby Redfort returns in her third adventure. Wild animals roaming around Twinford? 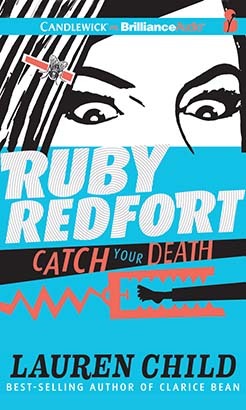 Ruby Redfort has heard the rumors, but she doesn't quite believe them. She's got enough on her mind doing wilderness survival training with the secret agency Spectrum, and her bad eyesight isn't helping. But as high society buzzes with news of a very exclusive perfume formula coming to town, and then some priceless jewelry goes missing, Ruby begins to sense that there's a sinister plot in the works. Can our favorite action hero sniff out the clues in time to keep Twinford safe from evil scents? Well, let's say this is one of those times when you gotta forget the rules and follow your nose to survive.